There are very few books that have led to the author’s name becoming a byword for cunning, amoral and opportunistic behaviour. Yet what has led this particular book, written in 1513 and thus celebrating its quincentenary this year, to be so revered and used as a reference? The author was a diplomat and politician who had served the Florentine republic but on the return to power of the Medicis he faced disgrace, suffered imprisonment and torture and was forced to retire from public life. The Prince was written as an attempt to return to favour and he did re-enter politics for a brief time before his death. In his dedication to Lorenzo de’ Medici the author states that he is trying to bring to his Highness his knowledge and experience gained through participation in contemporary affairs and constant study of history. Times were very different half a millennium ago yet the lessons learned then still have resonance today. There is very little fat or waste in the book, he keeps his wisdom brief and to the point. It is doubtful if Lorenzo ever opened it, let alone read it – he died of syphilis on May 1519. 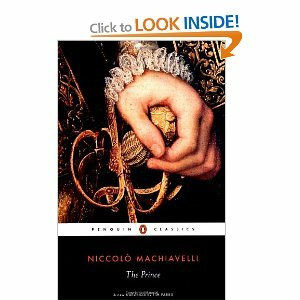 The one thing that struck me when I read this was how un-machiavellian Machiavelli was and that the lessons he passes on are necessary reading for anyone in any leadership role. He shows great insight into the challenges facing anyone in a position of authority. There is no room for sentiment and the chapter headings include: “Avoiding contempt and hatred’, ‘What a ruler should do to win respect’, ‘Avoiding flatterers’, ‘Cruelty and compassion’, and ‘Whether it is better to be feared or loved’. Instead of this being a text book of Mandelson & Blair it is an insightful study of the use of power – a good read.